S.V.D. 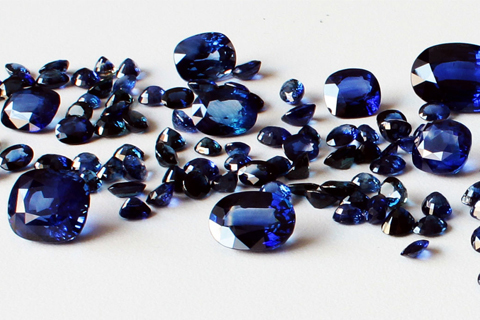 Gems Co., Ltd. is the leading gemstone wholesaler in Thailand, specializing in Burmese and Mozambique ruby, Ceylon and Madagascar blue sapphire from one carat size up. We provide wide variety of gemstone solution to domestic and international customers, including jewelry business, with our mission to attain the highest customer satisfaction. S.V.D. Gems Company Limited was established in April 2001 under the cooperation of the two brothers, Mr. Saravuth (Hong) Vuthipanyakom and Mr. Seksan (Hua) Vuthipanyakom. 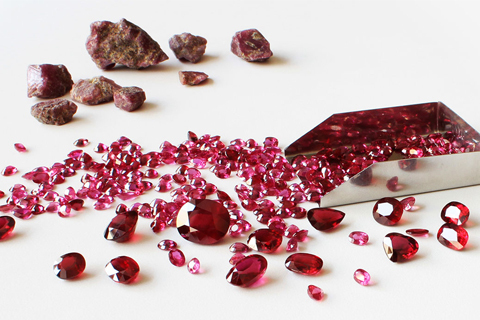 Our products focus on rubies and blue sapphires from one car at size up to big size in commercial quality up to gems quality. With management possessing over 30 years of experience in the industry combined with a strong team composed of the new generation, we are now ready to serve domestic and international traders worldwide with a variety of products and friendly service. 1981 – S.V.S. Gems Limited Partnership was founded on the 6th Floor of the Biya and Sons Building by Mr. Saravuth Vuthipanyakom and his former partner. 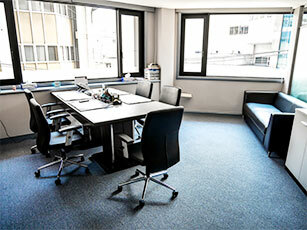 It was the first step in starting our own business after spending many years to gain experience in the industry. 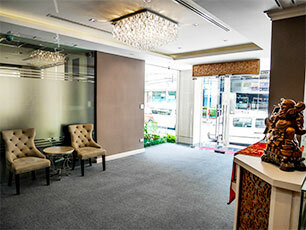 1987 – The company was relocated to the main business road, Silom Road and renamed to S.W.D. (Sawasdee Sang) Import Export Co., Ltd. to emphasize the high success of the company, in both retail and wholesale markets. 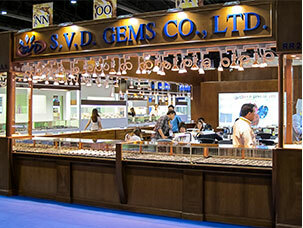 1995 – Mr. Saravuth Vuthipanyakom and his team started the next step to moving forward internationally by attending the Hong Kong International Jewellery Show and the Hong Kong Jewellery & Gem Fair in Hong Kong, the world's premier trading hub for gems and jewellery. 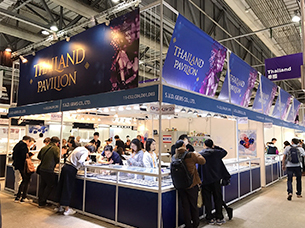 1998 – Mr. Saravuth Vuthipanyakom and his team aimed to increase international exposure by attending the Basel Fair, World Watch and Jewellery Show in Switzerland, which is the largest and most well-known jewelry and watch show in the world. 2001 – S.V.D. 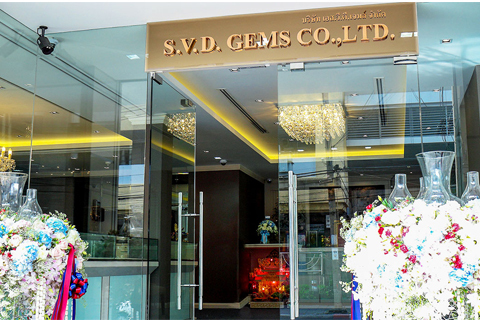 Gems Company Limited was founded on Mahaesak Road, Soi 1, the center of gems business by Mr. Saravuth Vuthipanyakom and Mr. Seksan Vuthipanyakom to serve wholesale customers with a wide range of products. S.V.D. 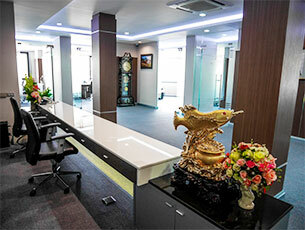 Gems Export Co., Ltd. the gemstone showroom, was founded at the same time to meet the demand of retail customers with various kinds of precious stones on the Silom Road. 2015 – S.V.D. Gems Company Limited was relocated to S.V.D. Gems Building on Mahaesak Road, Bangkok, the downtown of Gems and Jewelry business district. We cordially invite you to visit our booth at the following fairs. Copyright © 2016- S.V.D. 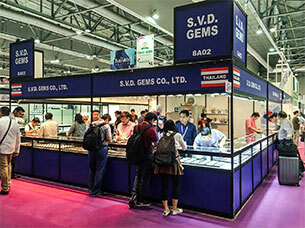 GEMS CO., LTD. All Rights Reserved.